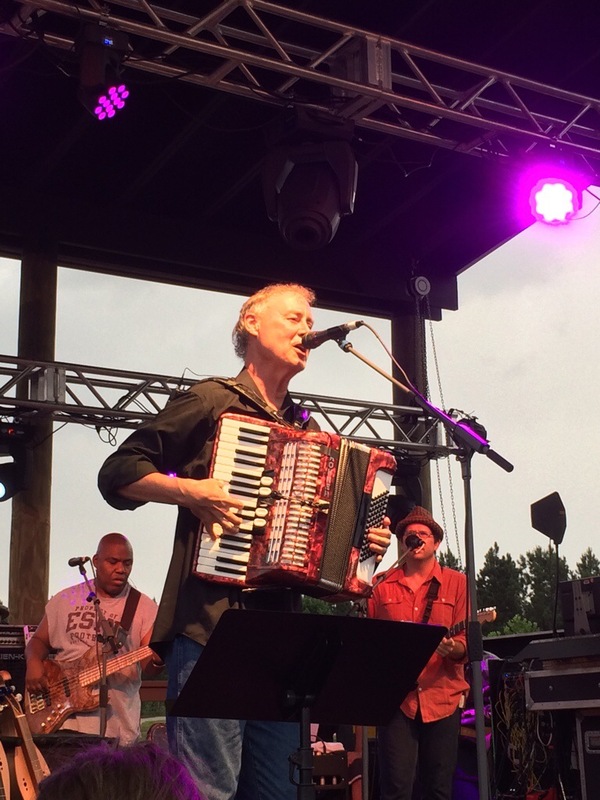 Bruce Hornsby and the Noisemakers hit the stage at the U.S. National Whitewater Center, one of the coolest concert venues around. It’s in Charlotte, NC. In addition to the man-made whitewater river, you can do a zip line across the lake (and just behind the stage.) We were all suited up and ready for a zip line trip when lightning flashed and the zip lining was closed for safety reasons. Understandable but disappointing. 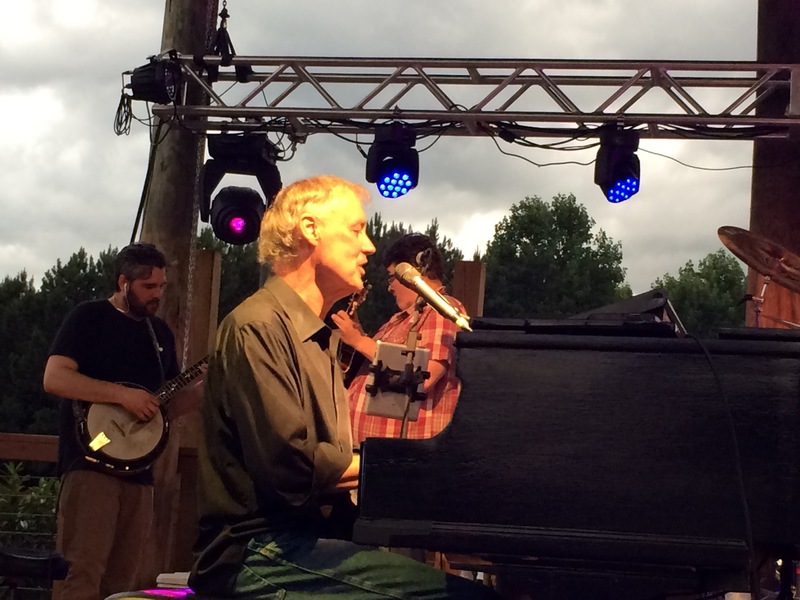 Bruce, however, did not disappoint. He and the Noisemakers (with a slightly different lineup in the band) did a great set, with one slight break for a rainstorm and another for a great fireworks display. He played lots of favorites, including Rainbow’s Cadillac, White Wheeled Limousine, Long Black Veil, Mandolin Rain and a great rendition of I Believe in Miracles. Second set featured Sunflower Cat/It takes a lot to Laugh, It Takes a Train to Cry. He closed the show with a Freddy King song, Going Down. 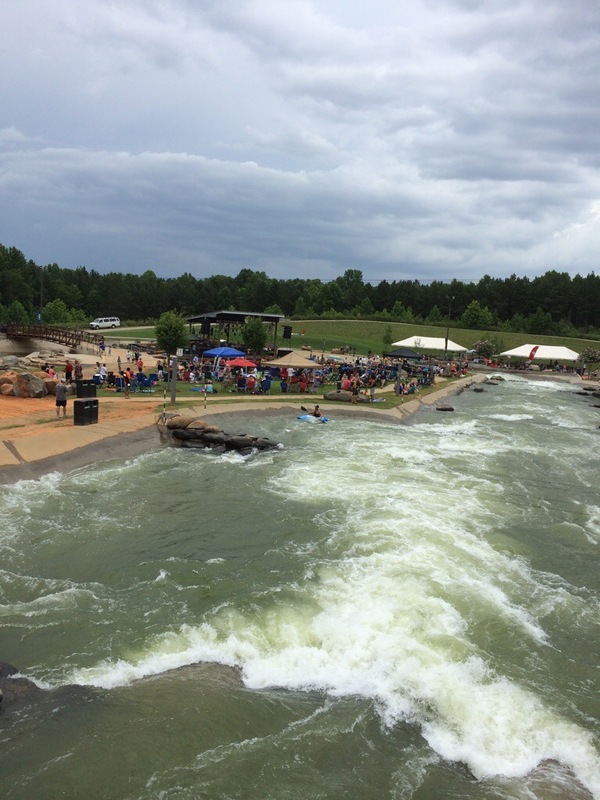 This entry was posted in Reviews and tagged Bruce Hornsby, US National Whitewater Center by Teresa. Bookmark the permalink.